← Yael; our awe-inspiring Lady Wrap Star! how long should these scarves be to do all these nice wraps? 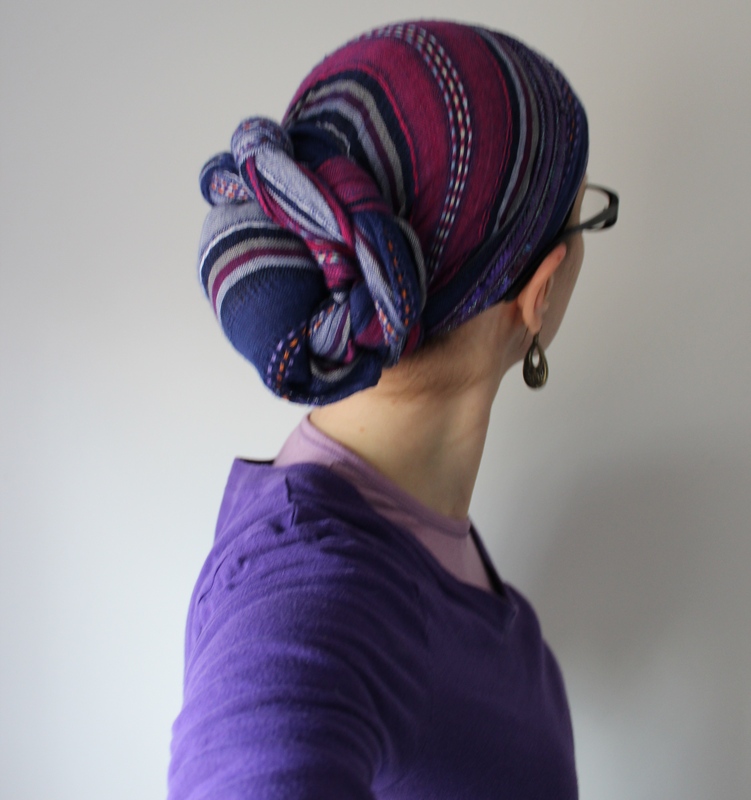 All my long scarves have varying lengths… – this one is pretty short and i’m going to try it again with a longer one! Can u show us on a video? It is lovely! I really like the look and it sounds so quick & easy. Going to try it right now 🙂 lol thanks! How did you get this idea with the knots? It’s just so cool! Toda raba! Beautiful can u make a video. 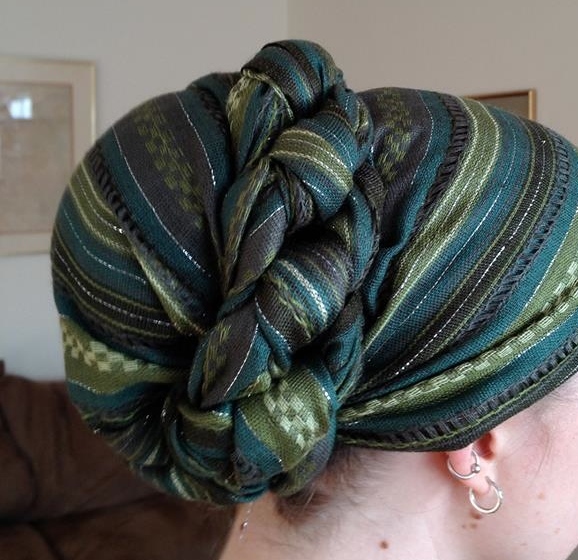 I’ve seen this technique as part of a ends-to-the-front turban style, and it didn’t work for me at all. I’m definitely going to have to try it over a bun instead- especially with tight knots, it’s a great detail. I love when people find ways to make techniques work that I’ve seen and not figured out! Yes! Naomi saw that ends-to-the-front thing which inspired her to do this! (I also tried that other idea and it didn’t work for me either! Your scarves are likely too slippery! When I use slippery scarves I always secure it with a pin! But cotton ones are not an issue. Oh, I like the video! You did a good job! And I love the scarves you chose to use! The finished look is elegant! Hi Andrea. I was wondering. Can you post more outfits with your head wraps? You and I have the same style, but I just didn’t know how to put it all together. You REALLY have given me a lot of ideas. I’ve been enjoying getting dressed in the morning. Thank you so much. this is great looking …esp. with the stripes…I need more stripes!!!! I have basically the same scarf Naomi is wearing— but in pink! My uncle brought it for me from Israel! Can’t wait to try it with this style!